In between the 5 and 15 freeways between the stadium and the beach communities is the community of Mission Valley. 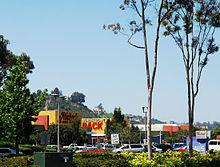 Three major shopping malls located in Mission Valley are Fashion Valley Mall, Hazard Center Mall and Westfield Mission Valley with hotels bordering the area on the north and south sides and the San Diego River running through the center. The 163 freeway divides the Valley between east and west. In the east part of Mission Valley, catch a Charger game or other outdoor event in the off season at Qualcomm stadium. 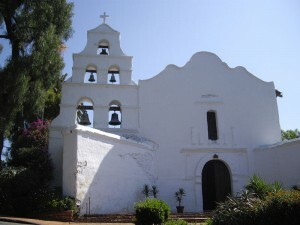 Mission San Diego de Alcala, the first of the missions established in the early days of California, is a great day time attraction, minutes from the Stadium. For great shopping, Mission Valley boasts three malls as well as smaller strip malls. Fashion Valley features upscale stores as well as a movie theater and food court dining, and across the way, Mission Valley has many different shops and its own movie theater as well. Finally, Hazard Center holds shops, restaurants and bars as well as the area’s third movie theater. The trolley lines run through Mission Valley and stop at the malls as well as stadium so travelling through is fast and convenient. The Green Line of the San Diego Trolley system runs through Mission Valley. The main hub for buses is located at the Fashion Valley Transit Center and Mall. Other trolley stations in the valley are found at Morena/Linda Vista, Hazard Center, Mission Valley Center, Rio Vista, Fenton Parkway, and Qualcomm Stadium.